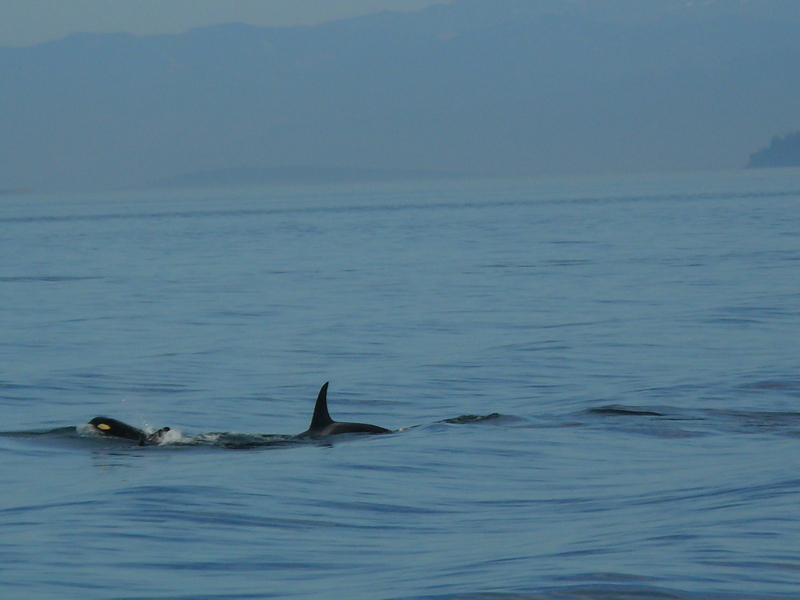 Another wondrous, memorable trip out into the Salish Sea! Calm, clear waters, like a pond with a minimal ebbing tide. More sun and many, 50+? 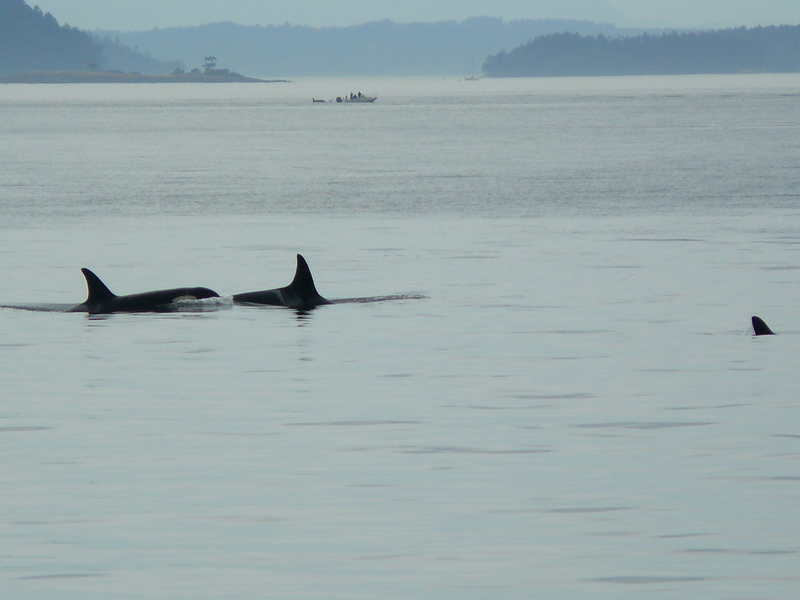 whales heading northwest from about 3:15pm to 4:30pm, past Spieden and Stuart Islands. 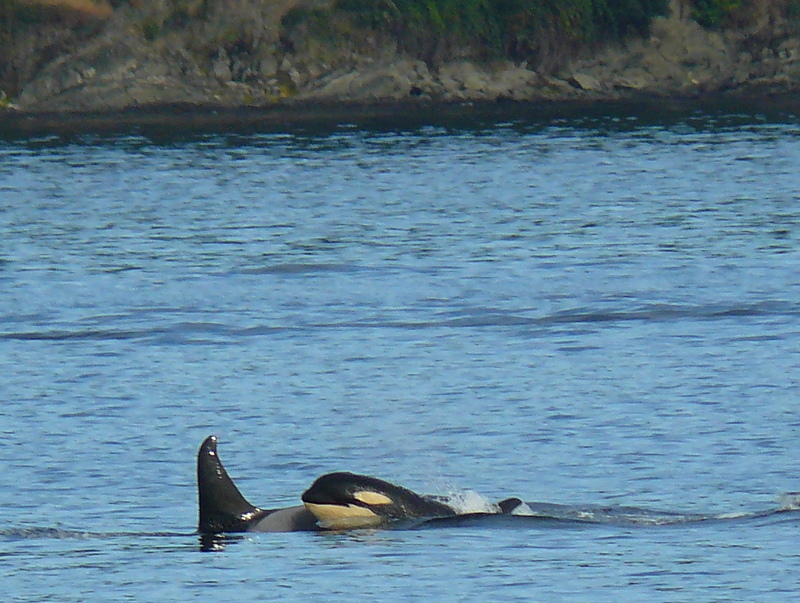 J-Pod and L-Pod Orcas spread out, some males further out in Haro Strait, while females with youngsters closer to shore. L-55 with the newest calf L-118 and the rest of her family were the trailing group, so they sped swam- ‘porpoised’ to catch up! All the groups gathered together as they had to decide which way to go at Turn Point. I guessed they were going to turn right, into Boundary Pass, and sure enough they did! L-Podders don’t go the other way through Active Pass, as much as J-Podders do. 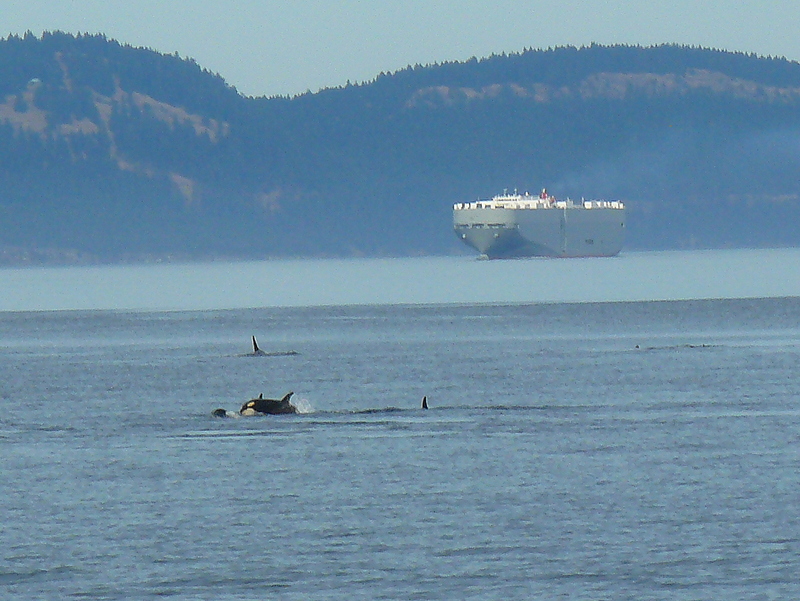 They spread out again, heading toward Saturna Island, surfing the wake of a large cargo ship, and a parting breach. 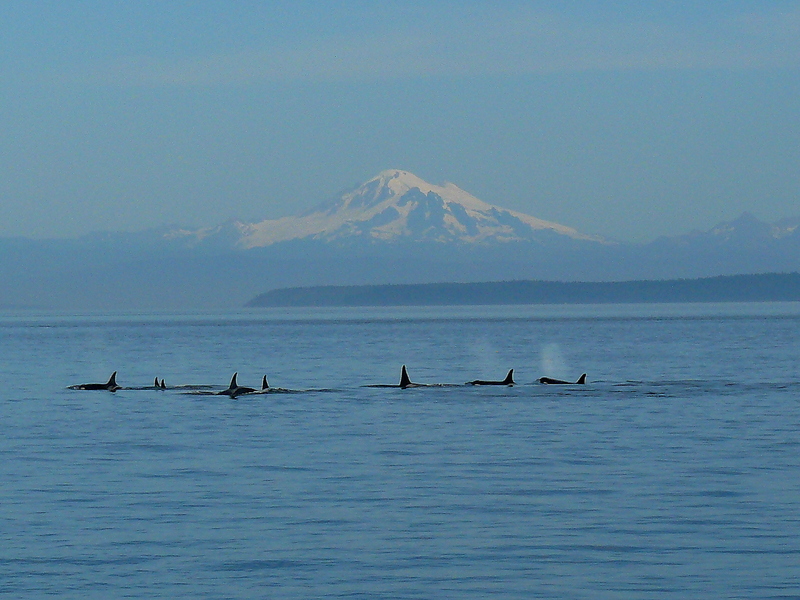 Breathtaking to see the whales and waters, island and mountain backgrounds. 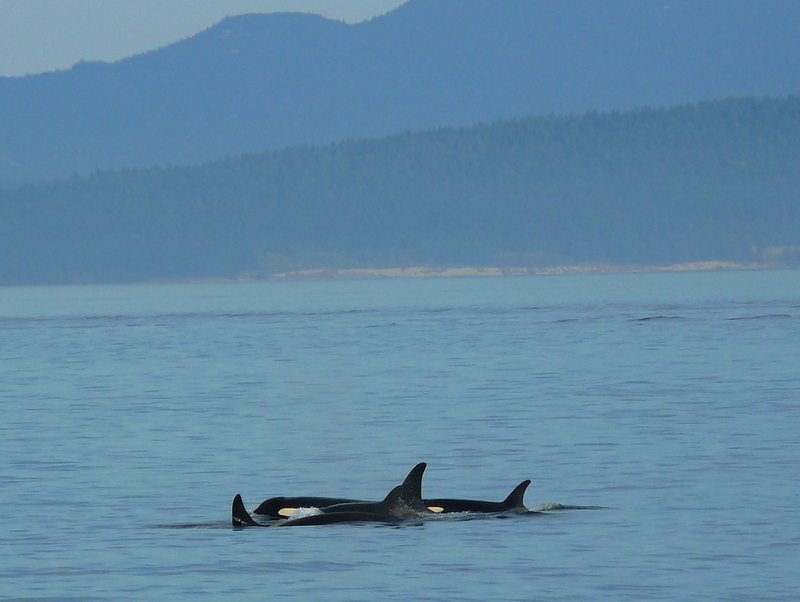 L-103 Lapis and Siblings ‘Porpoise’ Swimming!